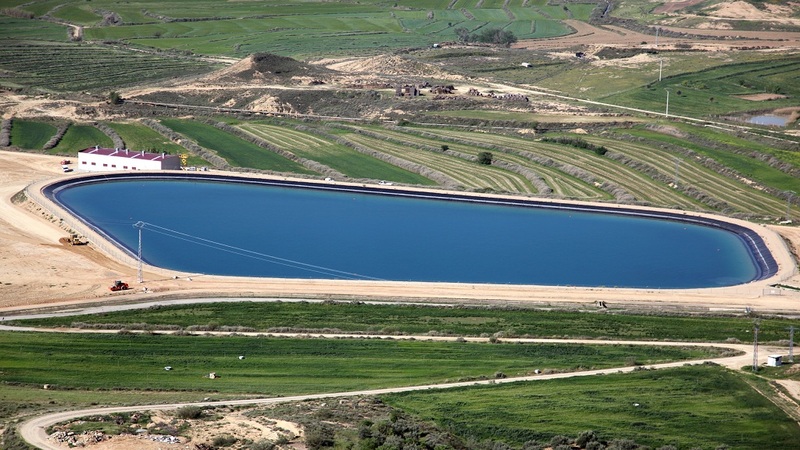 The project supported the modernisation of the irrigation facilities in 3,070 hectares. It replaced traditional surface irrigation systems with a new irrigation network using a sprinkling method, resulting in water savings and higher yields. The irrigation community of sectors VIII, IX and X of the Flumen Canal covers an area of 3,000 hectares and 309 users. Irrigation in this area used to take place in a traditional way using mainly surface irrigation systems (implying significant labour costs), irrigation at night, land preparation requirements and few possibilities for sustainable crops (mainly winter cereal). Given this context and market pressures, modernisation of irrigation systems was seen as the only viable option. The main objective was to modernise irrigation in the area by eliminating old irrigation infrastructure based on irrigation channels and constructing a new irrigation network using a sprinkling method. The distribution network ends in each plot allowing each farmer to modernise his/her holding. The new pressurised irrigation system is governed by remote irrigation automation and control. Key activities comprised on the one hand the physical elimination of old irrigation channels and on the other hand the construction of a 208,200 m3 dam and a pumping station. The new construction includes two main irrigation pipes, one with natural pressure for 1,995 hectares and another one with forced pressure for 1,075 hectares, both with the necessary network of pipes ending in irrigated fields. Farmers have modernised 1,000 hectares to date, with another 700 hectares to be completed soon. Water savings achieved during the first year of irrigation were 30% in the cultivation of winter cereal – from 2,500 m3 to 1,800 m3. In addition to savings, better control has allowed irrigation to take place at the right time resulting in higher crop yields: winter cereal yields have increased from 5,000 kg/ha to 7,000 kg/ha, a factor that has motivated the participation of young farmers. 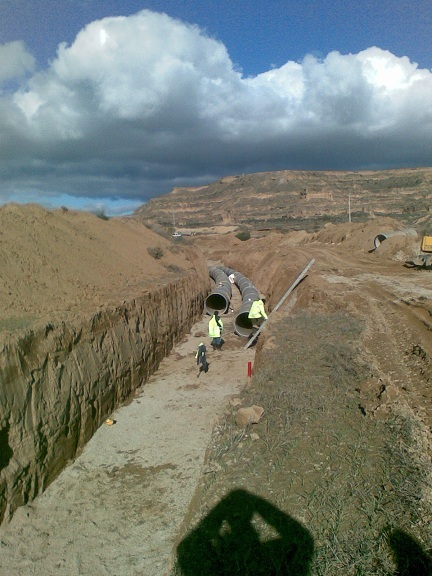 The success of the project rests on the cooperation of three irrigation communities (Sodeto, Alberuela de Tubo and Lalueza) which joined forces in order to carry out the works beneficial for the whole area. In addition, the project has proved that modernisation is critical for better and faster preparation of the soil, significant water savings, higher yields, incorporation of young people to agriculture and overall improved quality of life. Municipality of Alberuela de Tubo, Sodeto. Comarca de Monegros. Huesca province.